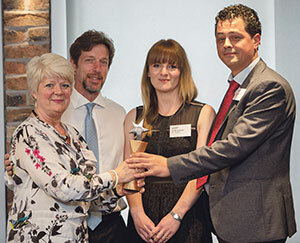 The awards were held in London on 9th May where more than 300 people were in attendance. The British Land Customer Service awards were first introduced in 2016 after the national roll out of its Customer Service Standards across its complete retail, office, and development portfolio covering 25m ft2 of floor space across the UK. TCFM, alongside utilising smart management systems and state-of-the-art technology to help maintain and improve operational standards, has invested time in training and coaching to ensure that its staff contribute to delivering unrivalled customer service and value to every visitor at Eden Walk.